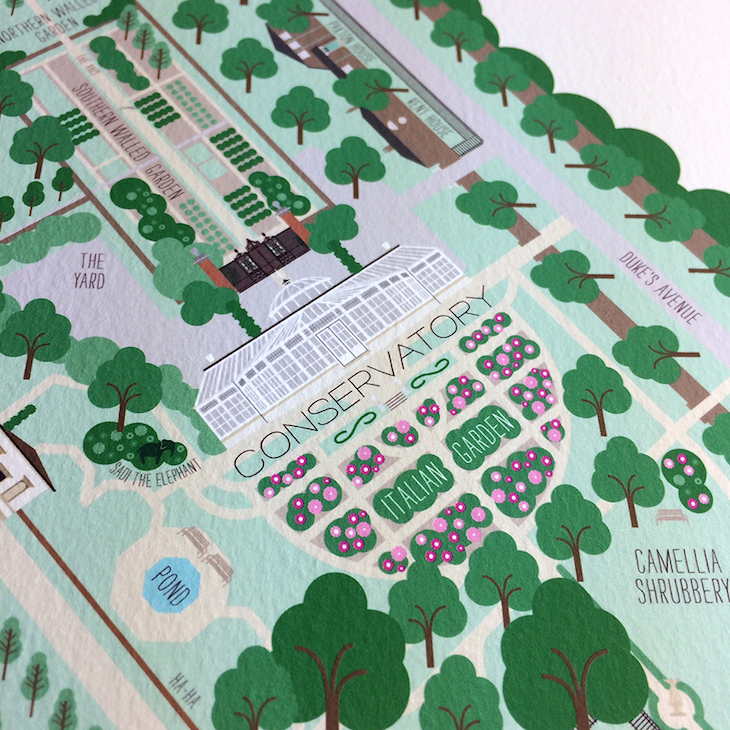 This charming map is a reminder of just how green London is. 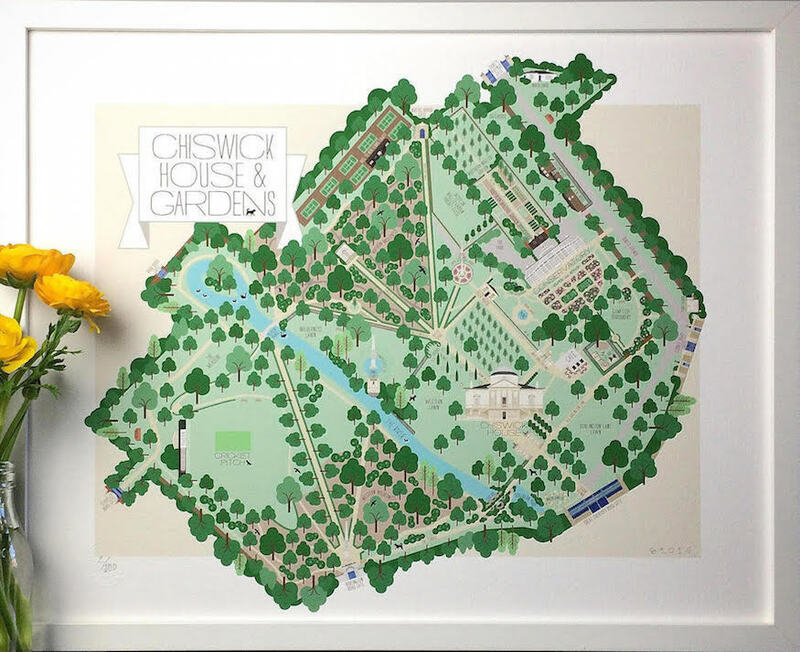 Rendered by artist Charlotte Berridge on her computer, it shows Chiswick House & Gardens in all its glory. Those familiar with the west London villa and its surrounds will recognise the house, its café and conservatory, and more concealed spots such as the walled garden. 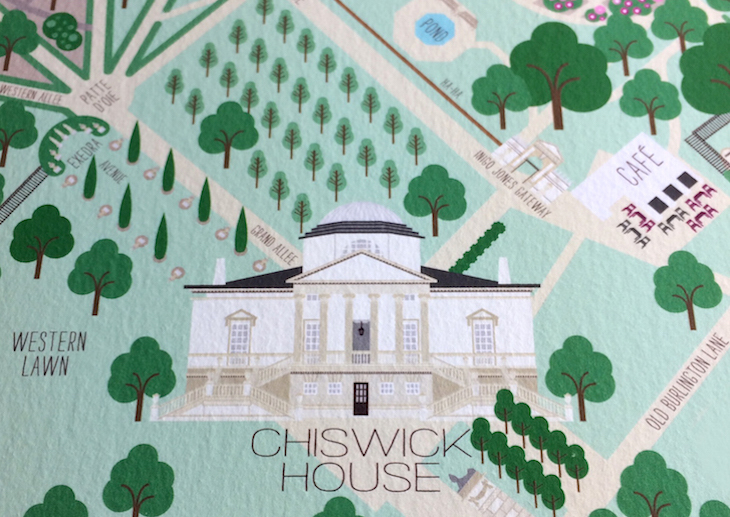 Never been to Chiswick House? What better way to acquaint yourself with its meandering paths. The maps are limited edition, with just 100 of them being printed. Each one is embossed and numbered. If you're particularly taken with it, treat yourself to a copy here. While you're there, check out Charlotte's other work around Chiswick, Ealing and Hanwell. Art deco fans can arm themselves with this print of the Hoover Building while the more traditional Londoner can peruse this rendition of Ealing Village.